Neutral Trend Inc. announce the release of TradeMax® 2010, a full featured tax software specifically designed for active investors or traders who have multiple accounts to manage trade data, maximize gain/loss strategy, prepare Schedule D or Mark to Market form. Las Vegas, NV (PRWEB) December 14, 2009 -- Neutral Trend Inc. announce the release of TradeMax® 2010, a full featured tax software specifically designed for active investors or traders who have multiple accounts to manage trade data, maximize gain/loss strategy, prepare Schedule D or Mark to Market form. TradeMax 2010 facilitate the user to import trade data from all kinds of formats files, handle an unlimited number of trading accounts can be combined for tax purpose, accurately calculate capital gains & losses and wash sale across the individual or combined accounts and make necessary adjustment for next tax year. prepare and generate various reports in minutes, not days which can be exported to popular tax software such as TaxCut®, TurboTax®, users can analyze your trading performance, manage investments and portfolios easily by ten or more generated reports. In addition, users can track investments easily by updating prices and retrieving transactions from the internet with the push of a button. Using a software as TradeMax can help the trader to save more time and money. Recording various corporate events, on one hand, which helps you maintain your trading history in the event of corporate actions such as stock splits, stock merge, spinoff and symbol changes, expand the portfolios and enable you to cross-reinvest income from any investment: on the other hand, users can better adjust the cost basis of the stock by that amount and track incomes, expenses, credits, debts and banks transactions. Auto- detecting Assigned, Exercised and Expired option, TradeMax® 2010 also defers cost to corresponding shares with its Option Adjustment function. Auto-convert the transactions under Non-USD currency into USD figures using downloaded Forex Rates through its powerful forex Rates Module. Help you make more favorable and correct investment through tracking the price history of the security you downloaded and generate unrealized gain/loss report. TradeMax ®2010 allows users to filter items you don't want so as to generate the specific report which focuses on certain items. 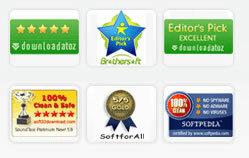 Users can analyze your trading performance easily with the help of various generated reports, track market value of the securities on daily basis for monitoring with Daily Market Value and report their trading activity on Form 4797 with Mark to Market for Form 4797 report, which can be exported to PDF, EXCEL, WORD or TEXT files. Neutral Trend TradeMax® 2010 properly calculates various Wash Sale scenarios. TradeMax®2010 provides calculation rule with Low-to-high levels applying to different capital losses and generates your reports based on the selected wash sale calculation rule. Neutral Trend TradeMax®2010 includes lots of preset profile to support most brokers. Users can import data file with the following extensions: *.csv, *.txt, *.xls, *.qif, *ofx, *.qfx, *tlf., *tdf . TradeMax®2010 also provides a flexible format reorganization algorithm which allows users to customize their own format. Neutral Trend TradeMax® 2010 can simplify handle the reporting of security performance for trade analysis and calculates Wash Sales automatically. TradeMax®'s data files are stored on computer in encrypted form. It can't be viewed with third party text editor. It only takes a matter of minutes to keep your TradeMax software current. With one click on pop-up dialog box each time you run TradeMax on your PC, you are prompted to download and install the latest update. TradeMax® Basic is available at an estimated price of $69.00 USD per 12 months subscription. TradeMax® Standard is available at an estimated price of $119.00USD per 12 months subscription. TradeMax® Deluxe is available at an estimated price of $169.00 USD per 12 months subscription. TradeMax® Premier is available at an estimated price of $297.00 USD per 12 months subscription. All TradeMax® products have trial version free for download online. Trial version has limited function whicgenerates report for transaction between Jan to Jun. Neutral Trend Inc. today announces TradeMax® 2.0, a full featured tax software specifically designed for active investors or traders to manage their trade data maximize their gain/loss strategy, prepare their Schedule D.
TradeMax® debuts innovative new tools that enable active investors or traders to effortlessly manage all their trades across various accounts.With customizable Vista® style “Views”. TradeMax® delivers important investment account information right to the desktop, without the need to access Internet. Users can manage their trade data, maximize their gain/loss strategy, prepare their Schedule D. It can import trade data from all kinds of formats files, monitor realized/unrealized gains & losses for current positions, adjust wash sales events, report capital gains/losses in printed Schedule D format or export to popular tax software such as TaxCut®, TurboTax®. 1. Track your trades: Users can setup different investment type accounts among whole family and manage trade data over years. TradeMax® tracks and categorizes trade data automatically. Users can view all investment accounts in one place. 2. Data security: TradeMax®’data files are stored on computer in encrypted form. TradeMax®’s date can’t be viewed with third party text editor. 3. Calculate wash sales and Defer lose between different accounts: Users can combine different accounts into one to monitor specific investments. 4. Powerful importing module: TradeMax® includes lots of preset profile to support most brokers. Users can import data file with the following type extension: *.csv, *.txt, *.xls, *.qif, *ofx, *.qfx, *tlf., *tdf . TradeMax also provides a flexible format reorganization algorithm which allows users to customize their own format. 5. Multiple transaction lot matching methods: TradeMax® uses strict “First In, First Out” (FIFO) trade matching as a default method. 6. Help maximize tax deductions: TradeMax® calculates various of Wash Sale scenarios, include but are not limited to, Wash Sale between identical securities (stocks and options), Wash Sales on an unequal number of securities and Wash Sale on Same Day Rule..
7. Simplify tax preparation: TradeMax® can dectet short trades and calculates Wash Sale automatically. Users can export gains and losses to popular tax software programs support TXF format. TradeMax® generates Schedule D-1, Gain&Lose report, Wash Sale Detail Report. 8. Option symbol detection: TradeMax® can download Option data from Internet and identify Option symbol and related information like CALL/PUT type, size and expiration month etc. 9. Easy-to-use interface: Displays the Account List on the left side of the screen as a convenient way for you to monitor and manage your accounts and views. Symbol View helps you to manage your stock and stock options. Attractive report and screen interface. 10. Customization data view flexibility: TradeMax® allows users to build own view to manage data properly. Users can customize multiple filters to change the way of viewing account. “We are adding new feature on daily basis, we suggest our users to visit our website frequently for updates.” Neutral Trend said. TradeMax® Basic is available at an estimated price of $69.00 USD per 12 months subscription. TradeMax® Standard is available at an estimated price of $119.00 (U.S.). TradeMax® Deluxe is available at an estimated price of $169.00 USD per 12 months subscription. TradeMax® Premier is available at an estimated price of $297.00 USD per 12 months subscription. All TradeMax® products have trial version free for download online. Trial version has no expiration date, but it only generates report for transaction between Jan to Jun. All TradeMax® products are available today at http://www.itrademax.com. TurboTax®, among others, are registered trademarks and/or registered service marks of Intuit Inc. or one of its subsidiaries. TaxCut® is a registered trademark of HRB Innovations, Inc.
Microsoft®, Windows®, Windows XP® and Windows Vista® are either registered trademarks or trademarks of Microsoft Corporation in the United States and/or other countries. TradeMax® and TradeMax® logos are trademarks and/or registered trademarks of Neutral Trend Inc.